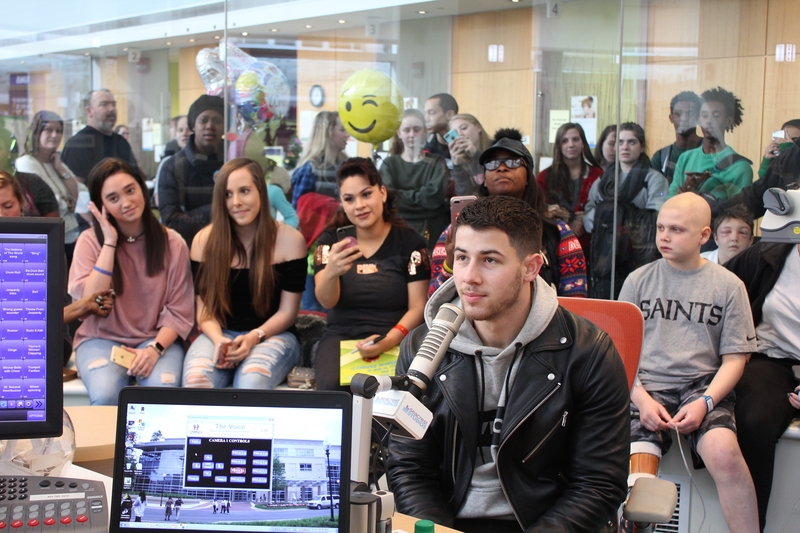 RSF Ambassador Nick Jonas Visits Seacrest Studios in Atlanta! https://youtu.be/2gO89nWGD2w Ryan Seacrest Foundation Ambassador and Seacrest Studios favorite, Nick Jonas, returned to Children’s Healthcare of Atlanta to visit patients before his performance at iHeart Radio’s annual Jingle Ball. The singer, who has visited Seacrest Studios Atlanta many times, is always up for whatever shenanigans we throw at him. This time it happened to be a fun Q&A game called “Only Your Bro’ Knows”. Of course, without his brothers Kevin, Joe or Frankie present, there’s no way of knowing how “accurate” Nick’s answers really were! He’s always a good time and we can’t thank him enough for spreading some cheer at Seacrest Studios!